A monastery at a historical site. 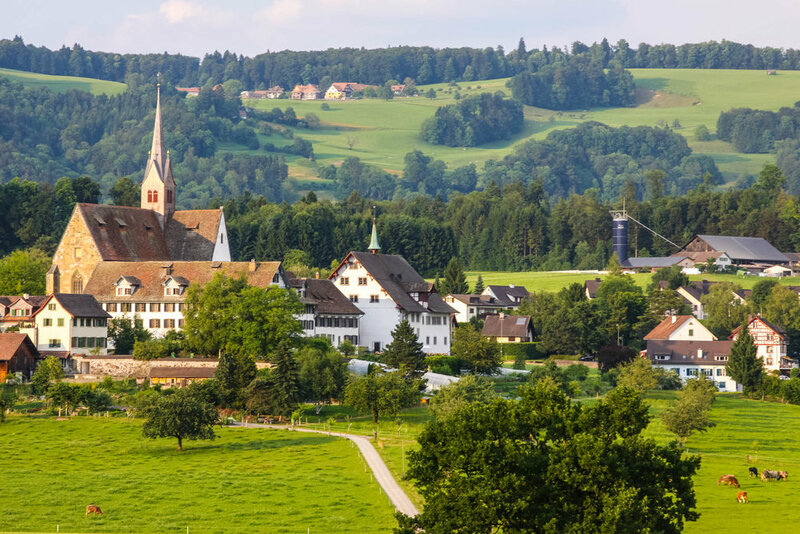 This monastery "Kloster" is a real gem, that is perched on a hillside that overlooks the city of Zug and the alps. It's a perfect retreat from the city and yet not so reclusive as to be completely off the beaten path. The monastery is made up of several building including a church. The surrounding countryside has forests, gardens and fruit trees. During the First war of Kappel, in June 1529, Kappel was the scene of the encounter between Protestant and Catholic troops. The encounter ended peacefully with a negotiation and the legendary "Kappeler Milchsuppe." This story has great tradition in Swiss history. The monument dedicated to the event is only a stones throw away. When you arrive at the monastery, the walk up to the church goes by a small pond and some of the more resent buildings that have been added and that blend in just beautifully. 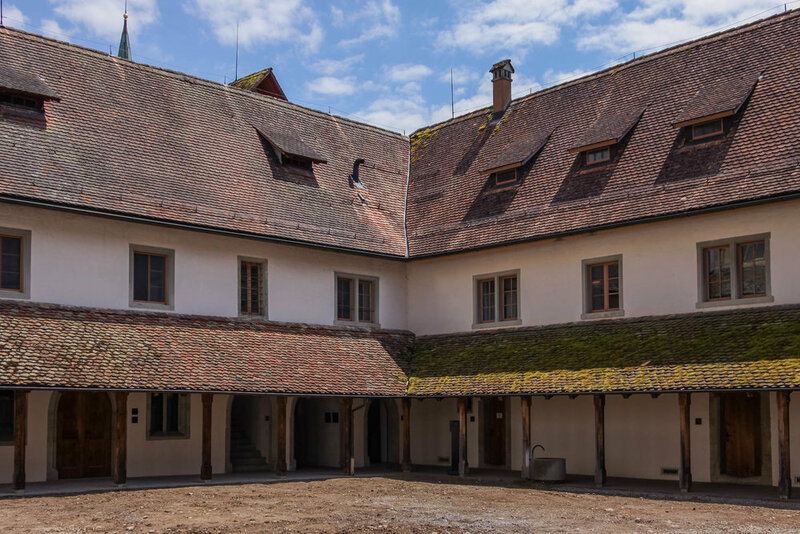 There's an inner courtyard and the grounds surrounding this are all open to the public. You will be rewarded with a beautiful view of the alps, lake Zug and the city of Zug depending on the weather. There is also a "Klostercafé" with garden open to the public. The monastery is a seminar hotel and house of education of the Evang.-ref. Landeskirche of Zurich. The location is ideal for companies that want to do workshops and need a quiet retreat in an absolutely beautiful location. All the prices, accommodations and seminar facilities can be found on the monastery website. Kappel Abbey is first mentioned in 1185 by Bishop Hermann II of Constance. The abbey was founded by the Freiherr of Eschenbach. The name was derived from a chapel in which, according to a foundation legend, hermits used to live. In 1211, Pope Innocent III gave the monastery the Privilegium commune Cisterciense. Between the 13th to 15th Centuries the Abbey received several Imperial and Royal privileges. Following the Reformation the monastery became property of the Canton of Zurich. As of 1834 the buildings were used for social purposes. Since 1983, the cantonal Reformed church as a spiritual retreat. Today it houses a hotel with 74 rooms. Is open to the general public.